Retail social business opportunities explains that retailers face unusual opportunities and threats, with no end in sight. Those with significant physical stores increasingly feel that they are trapped in the wrong century, and they are, until they reimagine themselves. Retailers can earn unprecedented engagement and profit when they use the social channel to help customers create fantastic retail experiences. The Chief Digital Office is packed with ideas and tools for using digital social business to transform brands, businesses and enterprises. In most markets around the world, retailers with physical stores are caught in a vice between high operational costs and competition with etailers, businesses that offer the same products online. This is a symptom of a root cause that is even more profound: retail is in the cross-hairs of the global transition from an Industrial Economy product focus to the Knowledge Economy’s focus on experience. In general, “retail” has been in the business of selecting and selling products to individual customers, and retailers in markets everywhere are feeling the pain of the post-product reality. The industrial-knowledge economic transition presents “retailers” with a rare opportunity to reinvent themselves as experience enablers, and social business is on the front lines. The Knowledge Economy’s “experience” focus takes several forms that are immediately relevant to retailers. Ecommerce offers superior “product selection” and pricing for an increasing portion of product categories, and four trends are pushing adoption further: 1) as ecommerce is roughly twenty years old, more customers are comfortable navigating websites; 2) smartphones, tablets and faster computers and network speeds enable “experience rich” software tools to substitute for “in the room” experience for high-touch goods like apparel; 3) perhaps most ominously, large ecommerce retailers are launching same day delivery; 4) online socially vetted product experts advise customers on using products in specific situations. The key insight is that physical stores’ traditional core value proposition is less defensible every quarter: giving customers immediate gratification by enabling them to select and buy products right now. When one analyzes even a simple customer “buying journey” by splitting it into segments, it is easier to understand how the unique combination of value that the “store” traditionally offered has eroded beyond repair. In-store product selection is vastly inferior to “online,” which can refer to the same retailer’s ecommerce site or the entire Web of online retailers. Even superstores have inferior selection, and they often frustrate customers due to their huge size and difficulty finding things. In-store staff and salaries have long been cut due to cost pressures from etailers, which has reduced expertise that can help customers select the right products. Pricing is usually higher than online, and the trade-off is that customers pay more but don’t have to wait to receive the product. Touching the product or “trying it on” in the case of apparel is easier and more natural in-store, but new apps and technologies are compromising that advantage. The retail store vice has been tightening for years: 1) relentless price pressure due to etailer competition and 2) the high cost of inventory requires perpetual promotions to move. Both hurt profit. Showrooming is not new, but mobile has driven it to new levels over the last couple years. Customers examine, touch and try on products in the store, then buy online, where prices are lower. Mobile comparison and pricing apps enable customers to take pictures of product and pricing codes with their smartphones and to check prices of the same/similar products within a certain geographical radius of their locations. Online product experts have existed since Web 1.0, but apps and startups take it to a new level. For example, Needle asks members (“fans”) to rate product experts, who advise people on the minutia of very specific products. Want to take that new smartphone on vacation in Budapest to make movies? Needles’ experts have been there and done that—and their advice get rated when people try it. Product knowledge is now in the cloud, accessible by smartphone. Ecommerce sites are offering same day delivery, cutting into stores’ monopoly on instant gratification. Shop at lunch, have it delivered tonight at home—and you don’t even have to carry it home. The uncomfortable truth is that the product channel of value (“procuring the product”) at retail is less and less desirable to many customers. 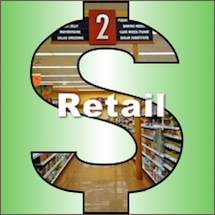 Conversely, a recent IBM global retail study found a strong preference for buying in stores. Retailers need to satisfy that desire with a new kind of in-store experience. While challenges are formidable for retailers’ management and employees, visionary leaders can seize rare opportunities not seen in generations, but they are invisible until leaders look at their businesses differently. As the above challenges suggest, the legacy, 20th century retail game is on the severely endangered list, and business as usual will extinguish companies that don’t transform. These opportunities are arranged roughly in the order of disruptiveness, least on top. Store/digital convergence (STDIG)—smartphone and tablet adoption is giving retailers the possibility to gather digital information about how customers move through their stores and what products they consider, but privacy is a huge barrier to their effective use of these technologies. Nordstrom, which has a relatively high trusted relationship with its customers, faced considerable backlash when it piloted such a system in 2012-2013. The key is to develop trust with customers and to give them meaningful benefits from being tracked. These technologies “digitize” key aspects of the in-store experience, putting retailers on par with etailers, which have tracked customers’ every move for years. Social Retail—By thinking “beyond the product,” retailers can reinvent themselves. Simplistically, retail stores have several channels of value sought by customers, but let’s focus on two: getting the product and the entertainment and social value of being in the store. As we’ve established here, the product channel is far weaker now. The social channel is charged with potential, and it’s the way for retailers to reinvent themselves as customer experience enablers. For some ideas, see the five examples in Part2. Omni-channel—Omni-channel is inevitable for any retailer that wants to survive longer than 10-20 years. As detailed amply on rollyson.net, it fuses together all customer interfaces into one seamless experience: physical store, ecommerce sites, mobile, kiosks and more. One inventory and database. Persistent buying journey, so the customer can change interface and retailer information and functionality adjusts automagically. This is a huge undertaking that “retailers” will reach after many milestones, so the key is making profitable investments along the way. Hyperlocal Retail—Combines the enterprise resources of multi-store retailers with game-changing local customer engagement. Retailers use social technologies to engage customers so that they make the store “theirs” by contributing to how it runs. Think of this as Threadless for retail. Retailers use a white label social network or forum to enable customers to advise them on product assortment. Secondly, retailers can offer a small amount of shelf space to customers who want to sell their sell their products. Another option is letting customers to name their prices or to organize group buying purchases. These suggestions may seem preposterous when considered from the 20th century retail perspective. But, brands that let customers to get involved transform their relationships with customers, who become extremely loyal and spend more. Imagine children’s apparel store that enables parents to sell sweaters they make, for one week. The point is using mobile apps to let their friends know “it’s only there this week,” and the social channel brings far more people into the store. In-depth analyses and reports on retail transformation. CSRA helps retail firms and brands act on social business opportunities: by understanding clients, markets and value chains in new ways using social data; by interacting with clients and other stakeholders using social technologies; by transforming organization to maximize collaborative innovation. To learn more, contact us.